Lootboxes and microtransactions are one of the most unpopular features in gaming and one could say that their presence in Star Wars Battlefront II soured many Battlefront fans on continuing to play or even get the game. Jade Raymond, EA Motive’s General Manager and a former Ubisoft producer and manager, addressed lootboxes in Battlefront II in a recent interview with Dean Takahashi, a journalist at GamesBeat. 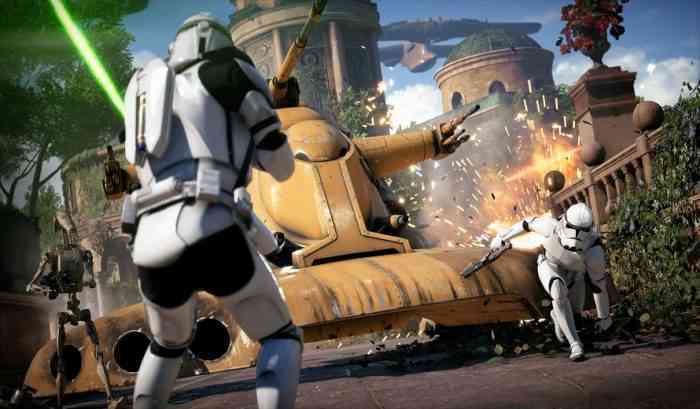 Raymond said that while the team behind Battlefront II “worked really hard on that game” there were still some “big learnings to take away” from the game’s reception. Raymond also said that the game’s developers at DICE were still working on improving Battlefront II. “EA is a learning company, so we are really focused on how we improve and obviously don’t make those kinds of same mistakes again,” Raymond said. Lootboxes and microtransactions have come under alot of scrutiny recently and, in the case of Middle-earth: Shadow of War, have even been removed from games. In February, the ESRB announced that a new label will be added on the boxes of games that have microtransactions and lootboxes. The ESRB also has a website for parents of gamers that is meant to inform them about microtransactions and lootboxes. “The video game industry is evolving and innovating continually, as is the ESRB rating system. ESRB’s goal is to ensure that parents have the most up-to-date and comprehensive tools at their disposal to help them decide which games are appropriate for their children,” said ESRB president Patricia Vance in February.